Anjeanette Dawson, Squamish Nation Wool Weaver. Anjeannette is a member of the Squamish Nation. 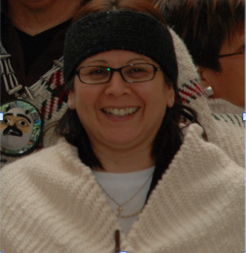 Her ancestral name is Spelexilh and she works with the Squamish Nation Education Department as the Elementary Home School Counselor. She has been wool weaving for about 10 years and has made numerous pieces. The pieces she is most proud of include: a wall hanging commissioned and hanging in the Squamish-Lil’wat Cultural Centre in Whistler, BC; and a fur collared shawl for the Opening Ceremonies at the Vancouver 2010 Winter Olympics. She has also made tunics for our preschool children, headbands for ceremonial purposes, and shawls, tunics and sitting blankets for private collections. She was commissioned by the Squamish-Lil’wat Cultural Centre to make regalia such as shawl/sash, leggings, belt and a headband. Anjeanette has facilitated numerous workshops to those that want to learn how to weave on floor looms and has taught over 300 students in the past 8 years. Shawn is a faculty member of the Department of Mathematics at UBC. 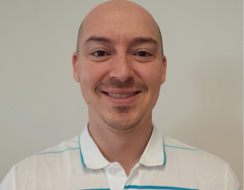 He is an instructor and also serves as an Aboriginal Outreach Coordinator for the Faculty of Science. He is Metis Canadian and has a PhD in mathematics from the University of Alberta. Artist William (Billy) NC Yovanovich Jr.––whose Haida name is Kuuhlanuu––is a member of the Ts’aahl Eagle Clan of Skidegate, Haida Gwaii. Billy is a recent graduate of Queen Charlotte Secondary School in Skidegate and has studied Haida art under well-known Haida artist Robert Davidson. Inspiration for Billy’s Haida designs come from Haida legends and stories, and the spectacular land and sea that make up Haida Gwaii. 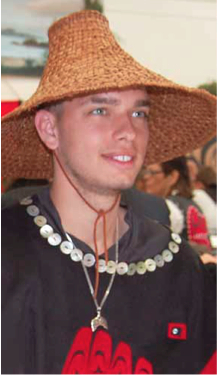 Billy became intrigued with the connection of Haida art and mathematics when he agreed to participate in developing a photo-book that explored the mathematics of making a Haida button blanket. When Haida students graduate they are gifted a button blanket that acknowledges their accomplishments, transition to adulthood, and Haida identity. Billy designed his own graduating button blanket and agreed to record the making of it for a mathematics photo-book titled The Math and Magic of Button Blankets.